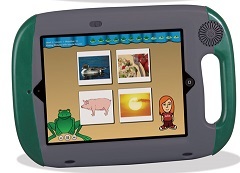 ACCI Choice pro™ - Augmentative Communication Consultants, Inc.
Augmentative Communication Consultants, Inc. (ACCI) will assist your clients in seeking funding through Medicaid or private insurance for the Dedicated ACCI Choice pro™. ACCI will work with you and your client to determine eligibility for funding. For the latest funding information please visit our funding page, (http://www.acciinc.com/funding-services) and download Required Funding Documents today or contact ACCI's Funding Department for questions at 800-982-2248 or e-mail: acci1@earthlink.net. Augmentative Communication Consultants, Inc. The ACCI Choice pro™ combines the features of Proloquo2Go and pairs it with your "Choice" of a protective case. ACCI Choice pro™ is a speech device that combines with Proloquo2Go to provide functional communication for everyday life. A. The ACCI Choice pro™ can be accessed via direct touch to the multi-touch display or with switch access. It does have flexibility by offering Proloquo2Go as your communication App and a wide selection of protective cases. The ACCI Choice pro™ can be mounted to a wheelchair, mounted on a tabletop or carried with a shoulder strap or carry handle depending upon the case selected. Choose between models in Standard 9.7" 32GB or 128GB or the smaller 7" mini 4 in 128GB as the core of your communication device. Choose Proloquo2Go as your communication app. If the user needs a new app in the future, upgrading the app is simple. Choose the case that best fits the needs of the user. The options can vary from built in speakers, integrated handles, level of protection, detachable shoulder straps, colors and mounting. If you don't see a case that your user needs, just let us know and it can be added. ACCI reserves the right to substitute the most current Communicator available at time of purchase and availability of cases. Click here to fill out the "ACCI Choice™ pro Selection Sheet"
GoNow Rugged Case Package - Rubberized edging with sure-grip handle, hard plastic exterior, and foam padded interior. 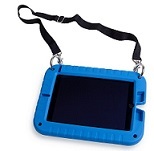 Includes Case, Shoulder Strap, Screen Protector, and reversible CoverStand. Fits the NEW iPad and the iPad mini 4. ChatWrap 10 Series amp Case has a rubber boot and shell that provides protection while the Bluetooth amp delivers high quality speech output for the user. Chose for the 9.7" NEW iPad or the 7" mini 4.This is an optional product and has an additional cost of $200. Please see the box below: "Optional Cases & Accessories at Additional Costs"
Fintie Casebot Kiddie Case. Light Weight, Shock Proof, Convertible, Handle & Stand, Kid Friendly. Fits the NEW iPad and the iPad Mini 4. This case has been fully redesigned to meet the unique forms and ports of the NEW iPad. The EVA foam protects your iPad from damage due to bumps and drops. Patented 4-handle design and 360 degree raised bumper. 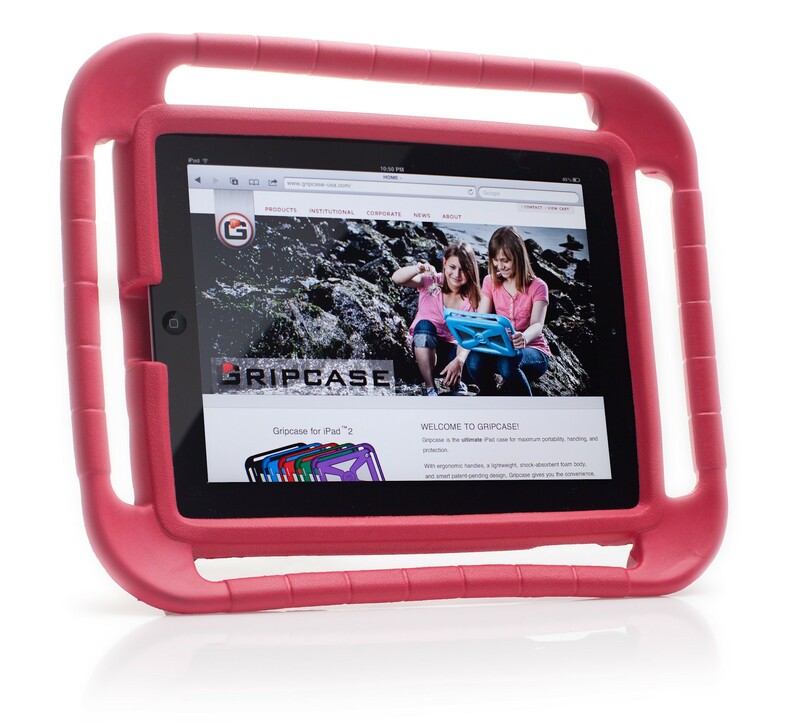 The Gripcase Shield with Sling is designed to meet the complete needs of students, teachers, and parents. The EVA foam protects the ACCI Choice Communicator from damage due to bumps and drops, and the safety bumpers and crush zone corners allow your young ones to go virtually anywhere without fear of damaging the device. Designed for the NEW iPad and the iPad Mini 4. Big Grips Lift™ For the NEW iPad or the iPad Mini 4 features a super-grip handle and integrated strap loops that make it even easier to grab more and worry less. Big Grips Lift™ weighs just a hair over .3 kilograms (about 11 oz.) 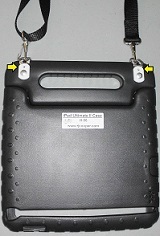 Picture includes the Gripcase Stand which is optional. Rugged, protective cases in various colors, with built-in handle (that folds to be a 15 degree stand), and sturdy shoulder strap. Comes with screen protector. For NEW iPad 2017 in Pink, Black or Blue. The Gumdrop Hideaway Case is a ruggedized case with a built-in stand. Designed for the NEW iPad or the iPad Mini 4. Includes integrated screen cover for protection during use. Special Notices: Products and applications are warranted and supported solely by the individual manufacturers. ACCI reserves the right to substitute the ACCI Choice Communicator for an older compatible model if the newest model is not available. Prices will remain the same. For Standard unlocked version sales, the Communicator and app gift card(s) are non-refundable or returnable. ACCI's Choice Communicator™ sales are final. For the latest funding information please visit our funding page, (http://www.acciinc.com/funding-services) and download Required Funding Documents today or contact ACCI's Funding Department for questions at 1-800-982-2248 or e-mail: acci1@earthlink.net. Click the button below to add the ACCI Choice pro™ to your wish list.